I am off to Sweden in a few days, to visit friends Ragnar and Carina in Stockholm. 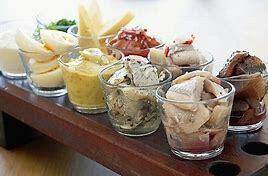 It is always a treat to enjoy Swedish cuisine and taste Carina's homemade delicacies. What's a surprise though, is to see all the publicity this week in the UK press, promoting the Nordic diet for all its health benefits. And I thought it was just the Mediterranean diet rich in olive oil, fish and fresh vegetables that was the secret to long life. Now the latest trend is to eat like a Viking. It seems that the Nordic-style diet could ward off cancer, heart diseace and Alzheimer's. I'll be adopting the Scandinavian eating habits in a few days time! So what's on the Viking menu that will do me so much good? 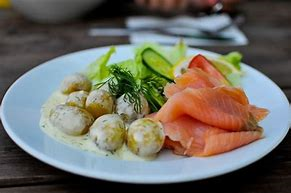 The Scandinavian staple foods are berries, fuits and fatty fish includinh herring, mackerel and salmon but to be more specific than that - lean fish ad vegetables, particularly cabbage and root vegetables. The Viking cuisine features legumes and whole grains such as barley, oats and rye. With the exception of fish, it is a relatively moden diet, as the Sacandianvians used to eat much more meat, but they have now reduced their intake of reindeer and meatballs. Though I love reindeer meat! The key difference between the Viking menu and the Mediterranean diet is the use of rapeseed instead olive oil. I can't wait now to start tasting that Swedish food. For more on this subject, see my blog on 'Swedish Cookery' posted on 28 October 2013.